Debbi Mack interviews crime writer Dana King on this episode of the Crime Cafe. Check out the show notes below! Or, if you’re in a rush, download your copy here! Debbi M: [00:00:06] Hi everyone. 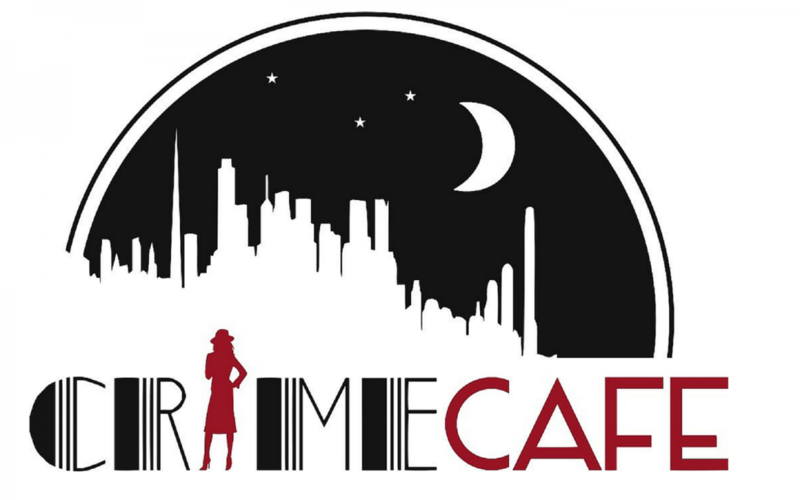 This is the Crime Cafe, your podcasting source of great crime, suspense, and thriller writing. I’m your host Debbi Mack. [00:00:25] Before I bring on my guest, I’ll just remind you that the Crime Cafe has two ebooks for sale. The nine-book boxed set and the short story anthology. You can find the buy links for both on my website debbimack[dot]com under the Crime Cafe link. You can also get a free copy of either book if you become a Patreon supporter. You’ll get that and much more if you support the podcast on Patreon. Along with our eternal gratitude for doing so. [00:01:02] It’s my pleasure to have as my guest today the author of two series and a standalone novel as well as several short stories. And he is also a Shamus nominee and nominee for other awards. [00:01:19] It’s Dana King. Hi, Dana. It’s great to have you on today. Dana K: [00:01:23] It’s great to be here. Thanks for having me. Debbi M: [00:01:26] It’s my pleasure to have you on, Dana. I was at the C3 conference with Dana, and he told the funniest story during Noir at the Bar. But we won’t go into that. It was great, though. That was a wonderful take-off on the Sergeant Friday Dragnet thing. And had a lot of hardboiled humor in it. So I’m a big fan just based on that. So you have two series: Penns River and Nick Forte–is that correct? 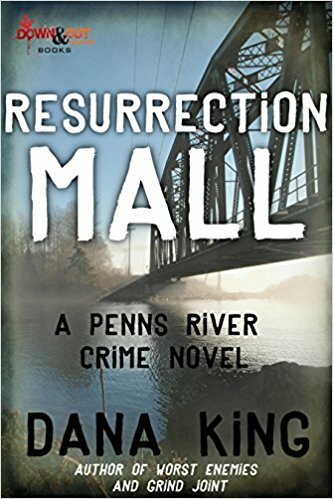 Dana King writes the Penns River and Nick Forte series. Dana K: [00:02:02] That’s right. Nick Forte. That’s right. Debbi M: [00:02:04] And is Nick Forte a private eye? Debbi M: [00:02:08] Okay, tell us a little bit about that series. Dana K: [00:02:12] He’s a private eye based in Chicago. It got started actually you mentioned that the satire on the Joe Friday stories. He was the first character actually created. I was coming out of a musical career and I wrote a short story that was supposed to be a satire on Mickey Spillane that used a bunch of friends of mine as part of a story with a musical background to it. And it was so well-received by a lot of people I wrote another story about the job I was at and included them. Same type, too. He was investigating something at this job, and I went to another job and they read the other two stories and pretty soon I got to thinking maybe I should do something more serious with this character and that’s where the idea for writing the novels came from. Nick Forte is a private eye based in Chicago. Debbi M: [00:02:57] Aha. Okay, and how did you choose Chicago as a location? Dana K: [00:03:03] I was living in Chicago at the time, and I really enjoyed my time there so there were a lot of locations, a lot of things about Chicago that came to mind when I was putting it together. Debbi M: [00:03:14] Interesting. And the Penns River novels. I’m reading one now and enjoying it. They’re based in a small town near Pittsburgh, correct? Debbi M: [00:03:29] Because you are originally from that area? Dana K: [00:03:31] Yes. Penns River as a town is actually an amalgam of three small cities about 20 miles up the Allegheny River from Pittsburgh, and I grew up sort of in all three of them. I was born in Warren and the hospital is no longer there. My parents took me to an apartment in another of those three cities. That building has since burned to the ground is now a vacant lot. And then I grew up in the third one and lived there–in fact, my parents lived there until just last year. My father passed. So I know not just the area, but I know the people, I know the kinds of things they are interested in. I had an idea for a police procedural story. I wanted to tell it. I needed a new setting, because obviously Forte wouldn’t work for a police procedural. And I actually fell into the old “write what you know”. What I know is what those little towns in western Pennsylvania are like. So that was where I decided to set it. And I’ve been very happy ever since then, because story ideas just present themselves to you know all the time. Debbi M: [00:04:41] So, would you say that place is a pretty critical part of those series novels? Dana K: [00:04:48] I would yes. Certainly much more the Penns River, because I do make a conscious effort. I mean I still subscribe to the local paper on the Internet, and I pull stories out of the local paper all the time that I can use. But also one of the things I wanted to pick on there was Pittsburgh has done very well since the steel mills. There was a period of quite a few years where things were tough. But now it’s rebuilt itself as an educational and financial and medical facility–wonderful city, a beautiful city. But if you get up the river where I grew up, very little if any of that progress actually went up the river. We’re still living in towns having the steel mills in them and to use a phrase my father used. I would say, “Well, gee. There’s always new businesses starting in town, Dad.” And he said, “Yeah but they’re all locals.” I remember the phrase, actually used the phrase in the book, he said, “They’re all locals helping each other go under a little slower.”. Debbi M: [00:05:46] Wow. Yeah. Well, that’s interesting talking about Pittsburgh. I lived there for a brief time. And I’m very familiar with some of the places that you mentioned in the novel. Kennywood, for instance. Definitely. The rollercoaster. I went on it. Pittsburgh is actually a very nice city. I love it. I should have worn my Pirates shirt for this interview, but instead I were In-N-Out shirt. For other reasons. We’ll talk about that later. So yeah. Yes. Like really in these places when we write about them. How would you describe your writing generally? Do you see yourself as more of a police procedural writer or a hardboiled mystery writer. More like the tough P.I. or a little of both? Dana K: [00:06:48] I would have to say a little bit both. Pretty much everything I write now–particularly with the novels–are either procedural or a PI story. What happens is I get the idea for a story and then sometimes a decision has to get made about which venue would be better off telling that story in. The best example is I was 30 or 35 thousand words into what I thought was going to be a Nick Forte novel. I just didn’t like how it was going. I mean it wasn’t even wrong. It didn’t seem to move. And then I took a couple of days off to go back and redo the outline or think about stuff when it occurred to me. This isn’t a Nick Forte story. This is Penns River story. So I just started over and redid the outline, and once I decided that this needs to be set in Penns River, I just blew right through it. It was one of the easiest books I ever wrote, because I realized I had the wrong venue for it. So, a lot of what I pick depends on which approach will tell the story better. Far as whether I write mysteries, certainly a PI story, I think. I always tell my PIs from the first person, and they’re somewhat more of a mystery because the reader knows everything the investigator knows. But even those, very often I’ve solved the mystery two-thirds of the way through the book and it kind of morphs from being a mystery into more or less of a thriller. Okay, now we know who did it. What are they going to do about it? And are they going to do anything about it before something else bad happens? So I’m less concerned with keeping the reader in suspense about the killer all the way to the end than I am in keeping them in suspense of about the resolution all the way to the end. Debbi M: [00:08:46] That’s a great point because a mystery doesn’t have to be a complete whodunit. In other words, you can combine elements of the thriller with elements of mystery and I like stories like that. Personally, I think they’re not only fun to read, but they translate well to the screen, for instance. Click on the cover to learn more! Dana K: [00:09:06] Yeah, I think that’s a good point. 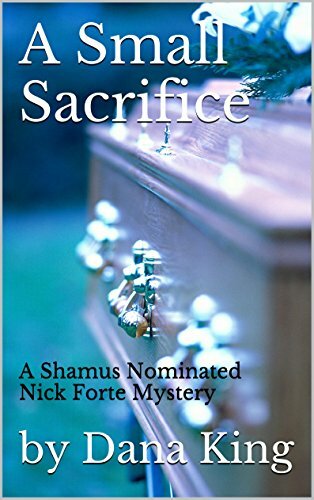 The first Nick Forte book I wrote called A Small Sacrifice, I revealed the killer … oh jeez … it can’t be much more than halfway through the book. And you nail him down within two-thirds of the way through the book. He’s obviously this guy. Here’s exactly what happened. But, by that time, it’s been turned around, so now he’s coming after Forte. So the rest of the book now, Forte is almost kind of the man in jeopardy. What’s he going to do about it? And I was always curious about how that would play out with people, because it wasn’t either fish or fowl actually. And then it got nominee for Shamus Award, so I figured it played out okay. So I didn’t worry about it after that anymore. Debbi M: [00:09:52] Well, getting nominated for a Shamus is definitely an honor, and I will have to read that book. Sounds very interesting. Tell us a little about what Wild Bill is about. 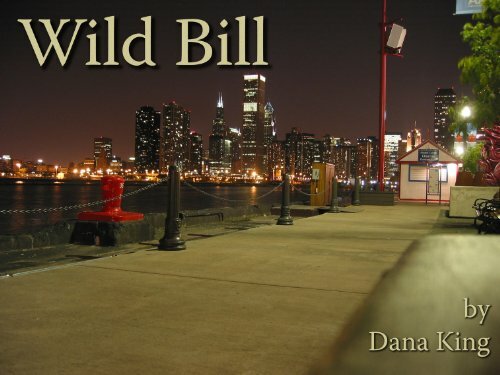 Dana K: [00:10:00] Wild Bill is the only standalone I ever wrote, and I wrote it when I’d written four Fortes and I was getting ready to get the Penns River series together. And I had an idea for a story about an FBI agent who was close to retirement who worked in Chicago. I was still up on Chicago stuff. And I’ve also done an enormous amount of research on organized crime in Chicago, so I knew how it worked pretty well. And the guy’s name is Willard or Will Hickox. But as a young FBI agent, he used to do things that the FBI kind of kind of frowns on like not calling for backup or walking in on bank robberies. So he earned the nickname Wild Bill and was sent to Chicago to listen to wiretaps as punishment for the rest of his career. Well, he developed a skill for it and he became their expert in flipping mob guys. So he was going to take down the big mob boss. It’s his last career case, and he’s going to ride off into the sunset as a retiree. And here the mob boss dies of natural causes, which prompts a war among the two factions that want to take over. And the problem Will is having is they’re killing off his sources. As part of the war, the people he had cultivated over the years who would … they weren’t really snitches they were people who would confirm things for him or kind of try to build up some goodwill in case they needed some. These guys are starting to turn up dead, so he winds up taking matters into his own hands and playing a more active part in the war. Dana K: [00:11:32] I hadn’t thought about it much until actually talking to you about it right now, but I guess in the way he does it. It’s actually got little bits of Dashiell Hammett’s Red Harvest in it. He winds up playing both factions against each other to get what he wants out of the deal. Debbi M: [00:11:47] That’s wild. That’s a great novel, by the way. I read it recently for the first time, and I was like, “Oh, my god.” Great stuff. Speaking of which who are your favorite authors? The ones who inspire you most in your writing? Dana K: [00:12:05] That evolves with time a little bit. I would say the ones who are always consistent are Elmore Leonard, because it was through Leonard that I learned how much of the story you can tell through dialogue, and dialogue is probably what I do best. It kind gave me permission to write these very dialogue heavy stories. Ed McBain really brought me into police procedurals. McBain’s been dead over ten years now and I hope he’s due for a renaissance. He strikes me right now as being very badly undervalued as great as he was, I think people tended to take him for granted. So now when you ask people, “Who are the best in the business?” and they’ll go through a list and then you’ll say, “Well, what about McBain?” “Oh, yeah. Bain.” As if that goes without saying. And it shouldn’t. But McBain was great. And I think he’s influenced me into writing multi-point of view police stories from different cops points of view. And the person who’s really started to influence me more in the last four or five years–it’s become more evident in the last few Penns River books–is Joseph Wambaugh and his L.A. stories that he started telling, my God, back in the 60s. I don’t think he writes anymore, but he’s probably written 30 or 40 books. He writes fiction and nonfiction. And his famous line that I do try to work on now is he says that the point of a good police story is not how the cop works the case, but how the case works the cop and what the influences are on the cop. I mean I’m now making more of a conscious effort to kind of think, “Well what would Wambaugh do in this situation?” It’s worth kind of pushing it that way. So I’d say right now those are probably the big three. And of course Hammett. Hammett when I first got started. Chandler used to be on that list when I first started to write PI stories. Most people who write PI stories got the idea from Chandler. Over time though, I’ve come to appreciate Hammett’s economy of words much more than Chandler’s flowery prose. So if I’m looking at something, my first thought now is what can I take out of this and still make the point. And I picked that up from reading a lot of Dashiell Hammett. Dana’s favorite authors include: Elmore Leonard, Ed McBain, Joseph Wambaugh, and Dashiell Hammett. Debbi M: [00:14:24] I’m with you on that. I do screenwriting as well as novel writing and what you can take out is essential in screenwriting. It’s all about taking stuff out and using the very minimum of words that you can to express a situation, a place, a story. Dana K: [00:14:49] It’s interesting you bring that up. I’m a big fan of watching writer interviews on YouTube and I watch every Dennis Lehane interview I can find. I’m a huge Lehane fan. Although I can’t say he’s that much of an influence on my writing, I like him personally, his attitude toward things. But he tells a story about Mystic River. He was curious to see what the movie would do with the beginning of Mystic River where he lays out what the men were like when they were kids. Before the one guy to abused and he said he thought that might have been the best 50 pages he’d ever written in his life. This whole little prologue flashback kind of thing to set the kids up, and he went to see the movie and he said, as a compliment, and he said, “And Brian Helgeland had condensed that whole thing into five minutes. And it was better than what I had done.” Because what Lehane realized was he wasn’t thinking visually. He was writing for a reader and Helgeland was thinking all the time, “What’s this going to look like on the screen?” Because of images and other things you could do with a movie you can’t do with a book, he could convince 50 pages into no more than five minutes on the screen and boom. It was just as powerful and just as good, and the movie runs from there. Debbi M: [00:16:04] Exactly. And movies are all about the opening image right. One of the most important parts of a movie is the opening image. So an author who can appreciate that is a godsend to any screenwriter who adapts the material. Dana K: [00:16:27] Well, you know, Lehane writes screenplays himself now. The Drop was originally written as a screenplay. He made a novel out of it all he was going, and somebody asked him about doing his own books as a screenplay. He says no. I would never even think of doing one of my own books, he said, because when I wrote the book, if I thought it could have been cut, I would have cut it. He appreciates that you can’t take a book like The Given Day that’s 700 pages long and make even a miniseries without making trims and making things run together. That’s the kind of thing that almost has to be done by someone who looks at it from the outside and can see where you can make these changes without really having too much of yourself in them. Debbi M: [00:17:07] I think there’s a lot to be said for having somebody else do an adaptation of your own book. Yeah. It’s very difficult. It’s like having an editor. You know it’s very difficult to look at it objectively. I was intrigued by the fact that you were trained as a classical musician and that you worked as a musician. Debbi M: [00:17:29] When did you start writing? Debbi M: [00:17:33] How many years have you spent writing? Dana K: [00:17:38] I’ve been writing now since I wrote the first Forte stories. It’s got to be about 25 years now. Debbi M: [00:17:45] Oh, my goodness. Dana K: [00:17:46] I’ve never thought of it this way but I think what happened was when I finally had to admit that I wasn’t going to make a career as a trumpet player and we had a baby then. I had to make some money. I did teaching and then a bunch of things happened. I’ll spare you but I basically got divorced and went up to Chicago for a job. And I think what happened was I needed some kind of a creative outlet to fill those couple of hours a day I wasn’t sitting behind a trumpet practicing. And I sort of fell into the writing thing and found that a) I liked it and b) I appeared to have some aptitude for it. So for me to carve out an hour or so a day after work to write was no different than carving out an hour or so a day to practice or to go to a gig. So it just kind of showed up in my day, I mean I was talking to somebody a while ago and having grown up as a musician, since I was a kid, I have a hard time thinking what other people do with all their spare time. If you don’t have something to practice or something to write, what do you do all day? Debbi M: [00:18:51] I know. I used to play piano. I was obsessive about it when I was in high school and got good enough to where I actually could have majored in music if I’d wanted to, but did not choose to do that. I don’t think I had quite the faith that I would make it as a musician. But, anyway, be that as it may. What’s your favorite kind of music? Dana K: [00:19:23] Well, it depends on what kind of mood I’m in. When I’m working, particularly if things at work are getting hectic, I like to play a lot of classical music. Late classicists, early romantics, or sometimes even back in the late romantics. But then if I’m in the car, say we’re taking a road trip. I will listen to anything from rhythm and blues to jazz to some rock to country. Dana K: [00:19:51] I’ve got a fairly eclectic range of music I listen to. Debbi M: [00:19:56] I think musicians are like that. What are your favorite movies? Dana K: [00:20:02] This is actually easier to answer than it might sound, because my wife and I have a few that we call “on the rotation.” I’ll just feel the urge a couple of times a year to pull out L.A. Confidential and watch it. And I always find these things to enjoy. And the funny story about L.A. Confidential is I often want to watch it after we’ve just watched something else. And my wife will often say … it’s actually kind of a running joke now … she’ll say, “You know what? Put it on. I’ll just fall asleep while it’s on.” But then two and a half hours later, she’ll say, “Damn, I forgot how good that was. I can’t fall asleep watching L.A. Confidential.” So that one comes up pretty often. I watch The French Connection once a year or so. The big ones that come up is on my birthday every year, we watch Get Shorty. And for our New Year’s Eve entertainment, we go out before the amateurs go out. We’ve been out our steak dinner and we come home and we watch The Big Lebowski every year. Debbi M: [00:21:11] That’s what I was waiting for her. That’s what I was waiting for. The Dude abides. Dana K: [00:21:18] It just occurred to me. I should’ve worn my shirt for the interview. Debbi M: [00:21:25] Yeah, I just remember me wearing that C3 last year. The Dude abides. Dana K: [00:21:31] Yeah Corky and I … Corky my wife. We can go sometimes it seems like whole days at a time and respond to almost any situation by quoting lines from The Big Lebowski or Get Shorty or Deadwood. Debbi M: [00:21:46] They’re all great. Dana K: [00:21:47] One of those three. We just find a situation and just look at each other and say something from one of those and the other person immediately knows what we’re getting at and we just go on from there. Debbi M: [00:21:56] Yeah, I could go around throughout the day just quoting movies probably. Debbi M: [00:22:39] Let’s see. So what’s in the pipeline in terms of what you were working on? Dana K: [00:22:45] The one I’m working on right now is, will be the sixth of the Penns River books. I’d give you the working title, except right now the working title is Penns River Six. I don’t really have a good working title for it yet. It’s story I actually, for lack of a better term, stole from David Simon’s book homicide. This was a hit and run case in there that they have a hard time getting declared as a Homicide. The medical examiner won’t certify on it [a homicide]. And were things about that that I thought worked particularly well though the true story Simon’s site took place in Baltimore. There were things about the part of Baltimore that it took place in that I thought well into a Penns River setting, and then I also wanted the main story that didn’t require the book to solve because going back to the Wambaugh influence what wanted to do is tell a bunch of shorter stories that really gave me an idea about how the town works. So that’s them that’s the unifying thread. But there are also probably—I’d say four or five, anyhow—little stories within this that get broken up. T is the one that works through, which I’m trying to see if I can the whole thing hold together. And that’s what I’m working on now. Debbi M: [00:24:09] That sounds cool. Dana K: [00:24:13] Let’s hope. Debbi M: [00:24:13] Well, we’ll see. Is there anything else you’d like to say before we finish up? Dana K: [00:24:19] I would just like to thank you. This is the first interview like this I’ve done. And I want to thank you for making it so easy for me. It’s a lot of fun. It’s a lot of fun, and I’m looking forward to seeing you at a writer thing before too long. Debbi M: [00:24:38] Yeah, me, too. Same here. Thanks so much for being here, Dana. And with that, I will just say please remember everybody to subscribe to the podcast on your favorite podcast channel. And it helps also if you leave a review. It helps us immeasurably if you do that. The Crime Cafe boxed set and short story anthology are also available for sale online at all retailers. You can get copies of that plus more if you support the Crime Cafe Patreon So just look for the Crime Cafe link on my web debbimack[dot]com And with that, I’ll just say for listening. Thanks, Dana, again and happy reading to you all. And I’ll see you in two weeks. Thanks for reading! 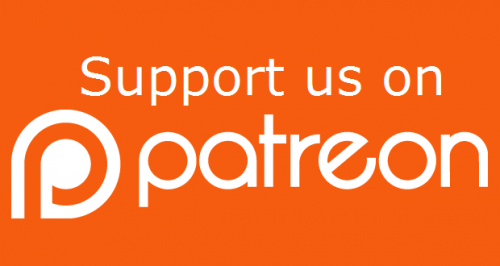 Please subscribe and support us on Patreon!